Taylor Nelson is a veteran of the Strauss Stage. She got her start at the Young Stage (now SYAA) and eventually began doing shows at the Mainstage. You might recognize her from her past roles as Tiger Lily in Peter Pan, Dorothy in the Wizard of Oz, or Ado Annie in Oklahoma(for which she won a Christopher Award). She attended Northwestern State University, during which time she spent a year studying in Estonia. 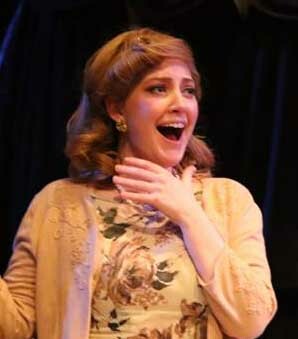 Since her return to Monroe, she has appeared in Sister Act, Young Frankenstein, Murder Me, Murder Me Not, and as Mollie in last years The Mousetrap (for which she won her second Christopher Award). She currently works as a legal assistant to attorney Ben Marshall. Besides the stage, Taylor enjoys reading, traveling the world, spending time with her three cats (Blue, Bucky, and Mimi), and grabbing a pint with her buds at Enochs. Taylor plays three roles in “Who’s in Bed with the Butler” – Josephine, Renee & Marjorie. RSVP your tickets at 318-323-6681 or order ONLINE.